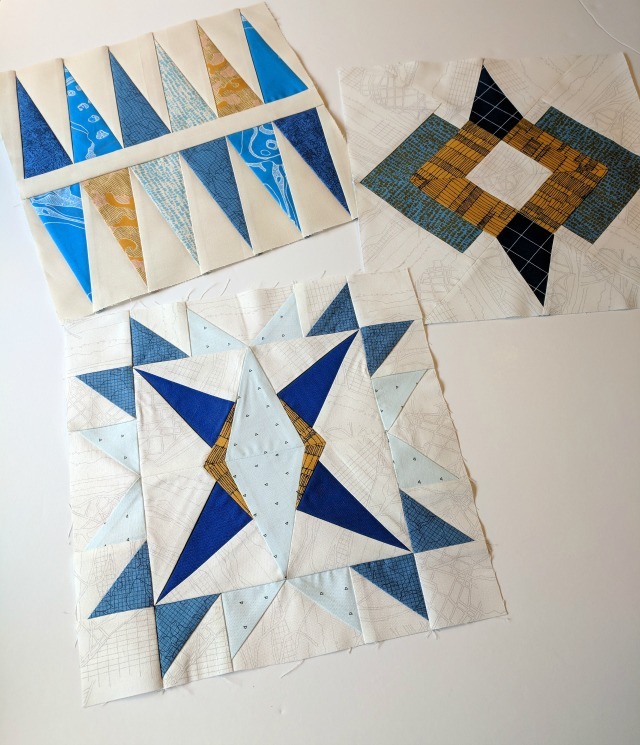 The next to last Summer Sampler block was designed by Christopher Thompson of The Tattooed Quilter, inspired by the classic art deco style of the Chrysler Building in New York City. It was a paper-piecing challenge - very doable yet time-consuming. I'm really fond of that center medallion though! 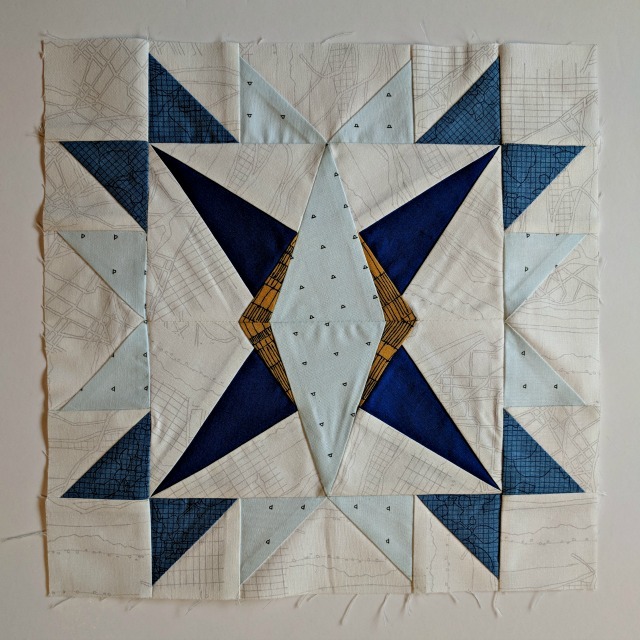 The center medallion of this block is beautiful! Paper piecing can take a surprising amount of time, but I'm almost always glad for the precision once I get through it. well that's a cool block! 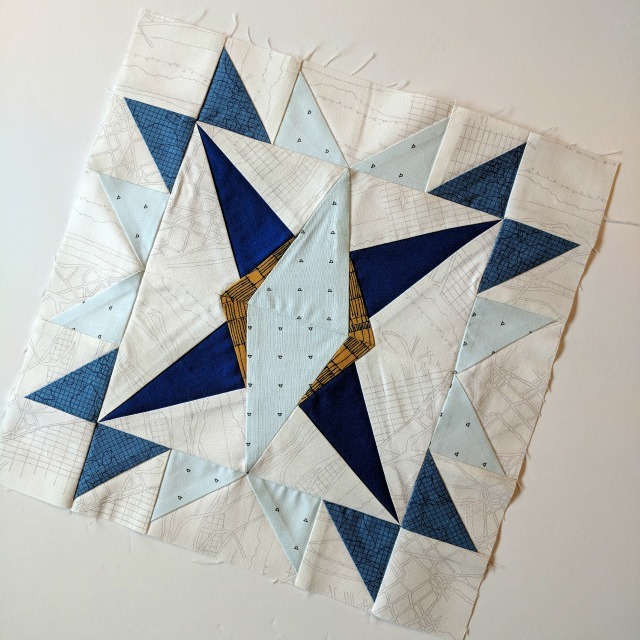 Great paper piecing. Even though it's fiddly it gives good results. I cant wait to see more of this fresh sophisticated style for these Debbie! love it!